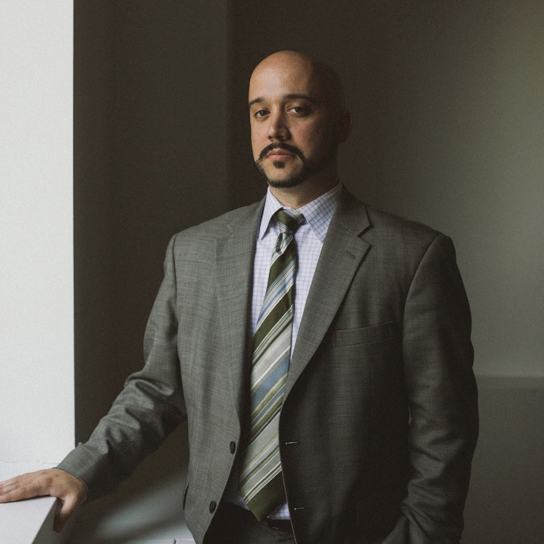 Sean Morales-Doyle has spent more than a decade focused on civil rights issues in the judiciary. He’s concerned about the millions of people across the country currently denied their right to vote perhaps now more than ever in his career. But, he believes with action - including some major changes to how states register potential voters - more citizens will one day have their say at the ballot box. Tell us a little bit about your background and where you grew up. I grew up in Champaign-Urbana, Illinois, which is where the University of Illinois is located. Both of my parents are from the south side of Chicago. I came to New York for this job to work as the counsel to the Democracy Program at the Brennan Center for Justice at NYU School of Law. 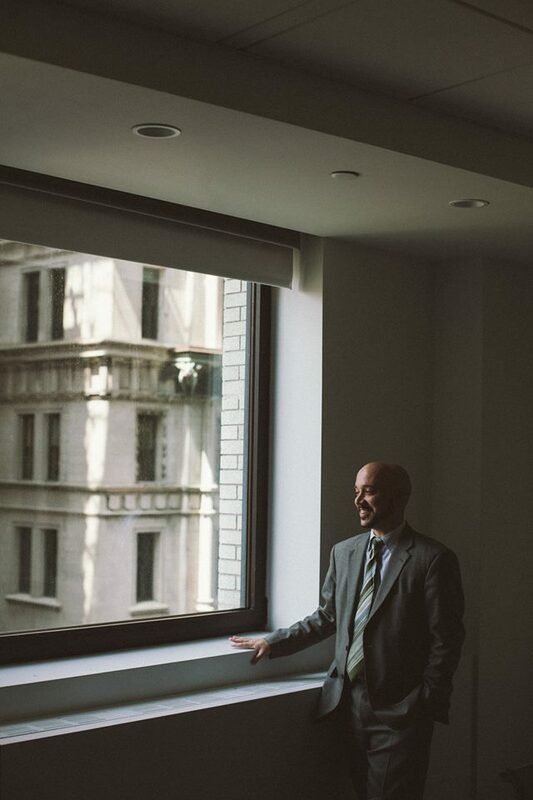 I’ve been a civil rights and labor litigator for the last decade or so, representing workers and unions and doing various kinds of civil rights work. When did you decide you wanted to become a lawyer? During my senior year in college at Northwestern I went to a meeting of the housing law team at the Legal Assistance Foundation in Chicago, where they were meeting with people in the community to talk about representing the interests of public housing residents. I felt like those were folks who were actually being able to use the skills that they had to be useful to folks who were doing the work that I cared about. I didn’t know exactly what work I wanted to do, I just knew I wanted to be focused on making a positive impact on my community. It seems like we're living in a time when there are a lot of people who are newly activated politically. There's a lot of reason to think that people who haven't been turning out to vote for a while might want to now. 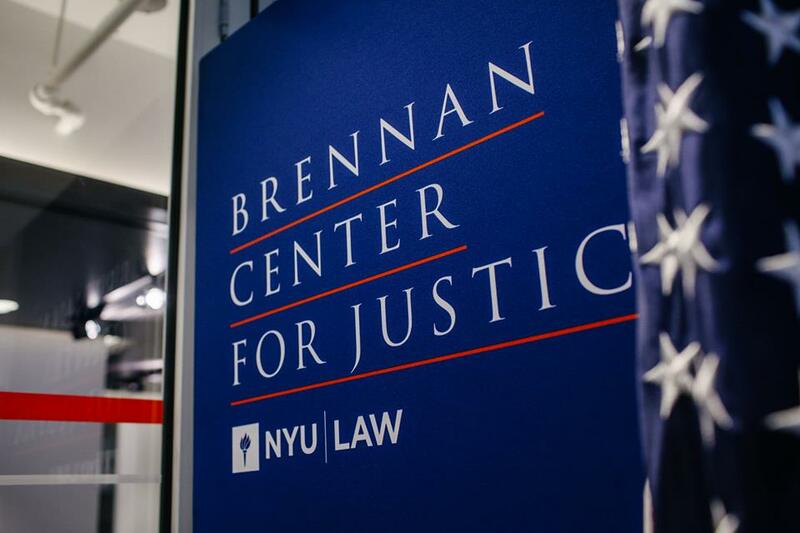 Let’s talk about voting rights, which is a major focus for you at the Brennan Center. We hear so much about low voter turnout or people who are disenfranchised for various reasons in different states in the U.S.. What parts of our voting system are broken? One of the issues is a lack of people being registered, or the difficulties in getting registered. And unfortunately over the last few years, we’ve seen a lot of effort from people to actually make that more difficult. For example, there are people who are advocating for proof of citizenship laws that require people to show all kinds of documentation to prove that they’re a citizen, which ends up disenfranchising lots of people who are absolutely eligible to register but just don’t have the right documentation. You also see outdated voter registration systems that in 2018 just aren’t up to date with technology. These systems are making it a whole lot harder for people to register and contribute to a lot more inaccuracies in voter registration data. And, we’ve seen an uptick in another policy that isn’t about how people get registered but rather how people get removed from the rolls, which we call voter purging. Unfortunately there are a lot of states acting aggressively to purge their rolls, so we end up with people who were registered to vote, showing up to vote and finding out that they’ve actually been purged from the rolls without realizing it. Automatic voter registration sort of addresses all those things. What is Automatic Voter Registration? What are the benefits? Automatic voter registration is a very common sense approach to the problem of people not getting registered to vote, or people not having up-to-date voter registration. Automatic voter registration kind of builds on the policy that passed in 1993, what people called “Motor Voter.” It was the officially called the National Voter Registration Act, and people were given the opportunity to register to vote at the DMV’s and other state agencies. And as a result, voter rolls grew by 20 percent from 1994 to 1998. With AVR, you can fill out an electronic voter registration application instead of a paper form that is then transferred electronically to the elections officials. The second part of AVR is switching from an opt-in to an opt-out system. When you go to the DMV, instead of being asked, “Would you like to register to vote?” you’re told if you’re eligible, and that your information will be used to register you to vote or to update your registration unless you decline. There’s a lot of behavioral science research that backs up the idea that if you make the default option registration, your average person will not opt out. It’s that the act of actually having to say yes to opting in that feels like doing work, so it just doesn’t happen. Oregon was the first state to pass an AVR law back in 2015, and now there are 13 states along with the District of Columbia who have a similar law on the book. What have the results been like? After being put into effect at the DMV offices in Oregon, the monthly DMV registration quadrupled in the first six months. We’ve seen similar results in Vermont, and now it’s starting to go into effect in a lot of places including California, where it took hold in April. The very preliminary results in all these states are backing up what we’ve seen in Oregon, that the registration rate goes way up, and there’s an increase in the number of updates to people’s registration. So if you move, you don’t have to remember to go change your voter registration, you get a new driver’s license and it’s automatically going to change. There’s not really a downside to doing AVR, but you want to be careful about how you do it. A lot of states have a confidentiality program for survivors of domestic violence, for instance, and you want to make sure that those people know that they should opt out of the automatic system so they can get into the address confidentiality program. Sean's work is focused on voting rights and elections, including automatic voter registration, voter fraud, and voting rights restoration. If more states start to adopt this policy, what are some of the larger effects of something like this? This is more just a gut feeling from living in the world, but it seems like we’re living in a time when there are a lot of people who are newly activated politically, right? There’s a lot of reason to think that people who haven’t been turning out to vote for a while might want to now. With the implementation of policies like automatic voter registration, you kind of get rid of that last obstacle for someone in that situation. If they’ve just been newly politically activated and they show up to vote, they’re not gonna get there and find out that they hadn’t changed their address and now they can’t participate. Or they didn’t realize they did need to register to vote, or thought they had. I live in a state that doesn't have AVR. What can I do as a citizen to make sure a policy like that becomes a reality in my state? Talk to your lawmakers. It sounds like the stock answer and you feel like it’s not helpful, but it absolutely is. They’re not just doing this because they had a good idea one day sitting at home, they’re doing it because they know that their voters care about it. And the voters tell them that they care about it. So in some states, AVR is enabling even more people to participate in our democracy. In other states, we’re seeing a huge increase in voter disenfranchisement. There’s an enormous amount of discrepancy in the way voting is handled across the country. Can you describe what voting looks like on the other side of the spectrum and in a very real example of a state today? A number of states have engaged in either illegal or overly aggressive purges, but I think about Florida, which disenfranchises 1.7 million people because they have a felony conviction in their past. Anyone who is convicted of a felony in Florida permanently loses their right to vote for the rest of their life. They finish their sentence, pay all their fines, come back, live in the community. You send your kids to a public school but you can’t vote for the people on the school board. You pay taxes, but you can’t vote for the people who levy those taxes. There are over 6 million people in the United States who can’t vote as a result of a conviction in their past, and that is more than the population of the seven smallest states combined. And 4.7 million of those people are living and working as our neighbors, and there’s no reason why we shouldn’t be welcoming them to participate. And it also has a seriously discriminatory impact, because we have a racist criminal justice system. When you link voting rights up with criminal justice, that’s the expected result. In Florida, for instance, one out of every five black adults is not able to vote as a result of felony disenfranchisement, which is just mind-boggling. If there were two or three things that you would want every citizen to know about when it comes to voting rights in the U.S. so that people started to grasp and understand the situation, what would they be? One thing is the existence of felony disenfranchisement laws. There are over 6 million people in the United States who can’t vote as a result of a conviction in their past, and that is more than the population of the seven smallest states combined. And 4.7 million of those people are living and working as our neighbors, and there’s no reason why we shouldn’t be welcoming them to participate. And it also has a seriously discriminatory impact, because we have a racist criminal justice system. When you link voting rights up with criminal justice, that’s the expected result. In Florida, for instance, one out of every five black adults is not able to vote as a result of felony disenfranchisement, which is just mind-boggling. The second thing is that there are people in this country who are actively pursuing policies all around the country that are intended to deny people the opportunity to vote. There’s this whole nonsense about how we need to have all these laws in order to protect against voter fraud, but it’s just not happening. It is the justification that is given for voter ID laws, for a proof of citizenship laws, for ballot security efforts, challenging voters at the poll or challenging people’s voter registration in order to get them purged from the roll is all these different practices that people engage in to stop people from voting are being justified on the basis of false rhetoric. Something that just isn’t happening.